EghtesadOnline: The Central Bank of Iran issued a new directive less than a week ago requiring banks to rigidly observe interest rates lowered a year ago by the Money and Credit Council in the latest move to loosen monetary policy. Hamid Zaman-Zadeh, the director of Research Department at the Banking and Monetary Institute, said the new monetary policy will most probably have inflationary effects in domestic markets, but as rate reduction and economic growth have become CBI priorities, a relative growth in inflation would be acceptable, Fars News Agency reported. “Last year, the Money and Credit Council reduced the ceiling for banks’ deposit rates to 15% while the interest rate of the government’s participatory bonds was set above 25%. However, since banks needed to absorb more deposits, they did not adhere to the regulations,” he added. According to the new directive, the implementation of which is mandatory from September 2, banks and credit institutions are obligated to adhere to long- and short-term deposit rates set respectively at 15% and 10%, Financial Tribune reported. In June of last year, MCC had approved the 15% deposit rate and 18% interest rate that had been agreed upon by bank CEOs earlier. But due to a variety of factors that keep challenging the embattled banks, including a hefty credit crunch, lenders were unable to stick to the rates and continued to offer interests higher than 20% on deposits. Also in line with the new policy, CBI is allocating credit lines to indebted banks to reduce the cost of their funding–a move that some have criticized as encouraging banks to increase their overdrafts from CBI. CBI has set a 34% interest rate for banks’ overdrafts while the interest rate of allocating credit lines is around 16-18%. The director of research department believes that the amount of overdrafts is not a problem since a bank might have operated in line with CBI’s rules but may have also resorted to overdrafts, in which case CBI offers the bank a credit line to moderate the cost of funds. “Private banks would benefit more from this new measure since their debts to CBI registered a 188% growth during the previous Iranian year to March 20, 2017, but we should note that CBI is trying to lower the interest rates. The interest rates of state-owned banks are already closer to what MCC has determined while private banks will be under a lot of pressure to reduce their deposit rates,” he added. Zaman-Zadeh noted that on the one hand, private banks will benefit from this move but on the other, when the interest rates of private and state-owned banks are equal, most people would prefer to deposit their money in state-owned banks since they are more trusted by the people. Private banks, he added, managed to absorb credits since they offered interest rates higher than that of state-owned banks, so now it is probable that a number of people will transfer their deposits from private banks to state-owned banks. The housing market is highly influenced by interest rates. Mostafa Qoli Khosravi, an expert in the key sector, believes that the rate cuts might affect the housing market for a while, but there is no other way to end its recession other than by loosening its monetary policy. 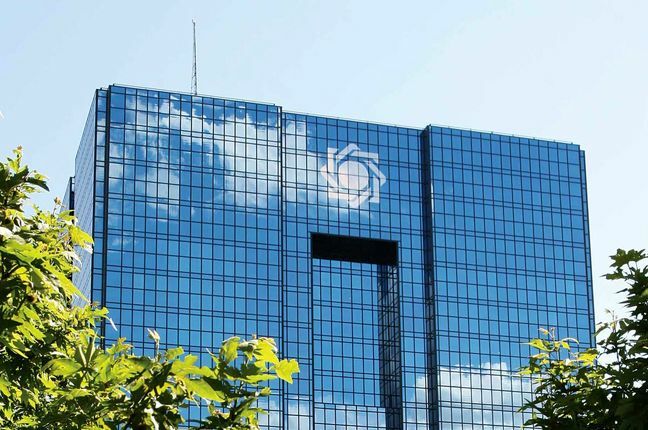 CBI’s new directive to cut interest rates is also expected to enhance the market’s positive signals and boost the performance of stocks for the sixth month of the Iranian year, Shahrivar (Aug. 23-Sept. 22). Interest rates are already higher than the inflation rate, which was around 10.3% for the Iranian month ending July 22. Coupled with economic sluggishness, this had caused liquidity to shy away from the high-risk production sector and flow into the safe and high-return money market with high deposit rates. The new CBI directive, if properly implemented, is expected to help liquidity find its way back to the capital market.